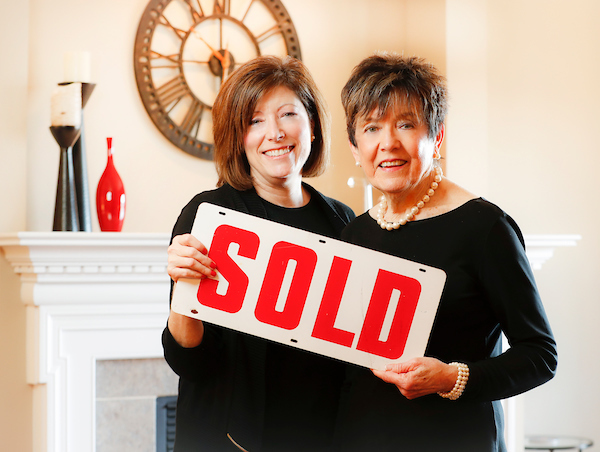 The words are all-too-familiar and many times "blow the deal" between buyers and sellers. But a wet basement or crawlspace does not necessarily mean a significant problem exists. It has been reported that more than ninety-five percent of all houses have had, or will have, basement leakage at some point. If your inspector sites a wet basement or crawlspace, keep a cool head and listen carefully if he or she recommends further investigation. The presence of efflorescence, a white powdery mineral deposit on the interior foundation walls, indicates moisture penetration. The severity of the problem, or whether the problem is active, is not indicated by the amount of efflorescence. In other words, just because a basement has efflorescence or stains does not mean it has a current water seepage problem. Other clues are rusty nails in baseboards, rotted wood near floor level, rusted metal feet on appliances, mold and mildew, lifted floor tiles, storage on skids, peeling paint and the presence of dehumidifiers. One home I was in had three old broken dehumidifiers piled in the corner, kind-of-a-clue the seepage had been there for a while. Poor surface drainage is one of the main causes of basement leaks or seepage. The ground should slope away from the house a rate of one inch per foot for at least the first six feet. The gutters and downspout systems must also drain water six feet away from the foundation. If the downspouts are disconnected, too short, broken or clogged, they should be redirected to discharge water above soil grade at least six feet away from the house. Also, gutters should be kept clear of debris, otherwise they may leak water around the foundation and into the home. Downspouts should be placed around the home every 30-40 feet from each other, otherwise a hard rain could overload the downspouts and saturate the soil around the foundation. Basement stairwells and window wells may allow water to collect. Drains should be provided in the bottom of these. Where there are no drains, plastic dome covers over the window wells allow light into the basement while minimizing water and snow accumulation. In the vast majority of cases, basement seepage is not significant from a structural point of view and can be controlled relatively inexpensively, as discussed above. Many older stone foundations have been seeping water for over a hundred years and are still in good condition. However, the presence of foundation cracks, damaged perimeter drainage tiles, a high water table (saturation around the home) or underground streams may call for more extreme corrective measures. These measures are used when chronic flooding occurs. Sealing foundation cracks can be performed several ways with the cost of repairs varying. The approach taken depends on the specific crack; however, the most successful approach is sealing from the outside (Cost $500 - $900). Urethane or epoxy injection repairs can be done from the interior on poured concrete walls only (cost $300 - $500 per crack). Many companies perform this type of work in northern Illinois and guarantee there work for life. Excavating, damp-proofing and installing drainage tiles should be used as a last resort. Damp-proofing on the exterior typically involves parging a masonry foundation wall with a one-quarter inch layer of mortar covered with a bituminous or plastic membrane which extends down to the footings. The drainage tile laid beside the footing is covered with gravel and filter paper. These tiles can often be damaged or clogged by roots and some localized repairs may be required. Because excavating on the exterior is expensive ($8,000 - $15,000 typically), an alternative is an interior drainage system. The cost of this approach is one-third to one-quarter the cost of exterior work. There are many cases where this proves satisfactory, although this must be judged on a case by case basis. Where underground streams and/or a high water table are present, sump pumps are usually required. But for the vast majority of homes built in northeastern Illinois, the lower priced repairs are usually adequate.